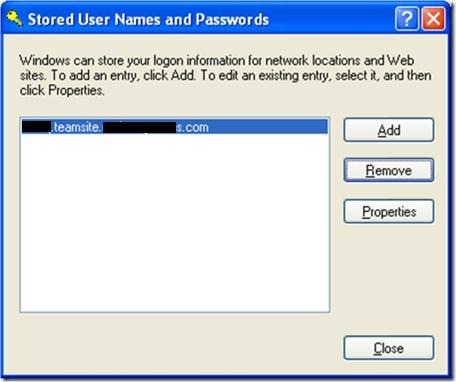 Keep getting prompted for UserId/Password when accessing SharePoint? For a while now I’ve been prompted to enter my credentials when accessing the company instance of MOSS. Sometimes it just pops up out of the blue. The credentials it wants to use are my old AD domain credentials. I change the old domain name to the new domain name, old\userid to new\userid, and then enter my password and bingo! everything is okay. As I still have, and use, my old domain account, even though I’ve been migrated to the new domain, I thought it was something to do with it and was willing to live with it until such time as the old domain was retired. 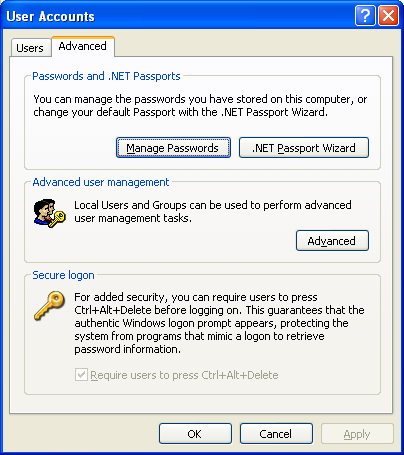 Then, I was reading a blog posting EndUserSharePoint.com: How come I keep seeing that *^!#ing authentication screen? One of the comments associated with the post caused me to go and follow it’s instructions, shown below. As you can see from the picture above I had an entry for the MOSS site. When I clicked on Properties it showed that the site was associated with my old domain account. I’ve deleted the entry and now I just have to see if I continue to get a UserId/Password prompt. My working hypothesis is that I started to use the instance of MOSS, which is in the new domain, when I only had the old domain account. 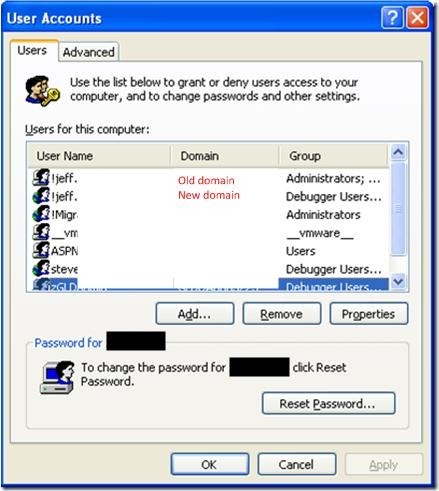 Some mechanism at the time put the entry in to Managed Passwords and since then whenever my system has had a reason to access MOSS for the first time it tried using the credentials in Managed Passwords and hence prompted me to enter a password.